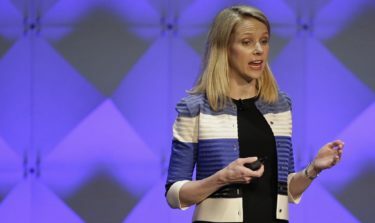 The exec hired to run what’s left of Yahoo after it imploded under Marissa Mayer will get twice her salary, according to a new filing. The company named board member Thomas McInerney, 52, as the head of its new spinoff company, Altaba. McInerney, former CFO at IAC media company – which owns brands such as Tinder, OKCupid, and the Princeton Review – is to get a $2 million base pay, the company announced in an SEC filing Monday. Mayer isn’t going entirely gently into the good night, she’ll get a $23 million golden parachute, as well as around $57 million in stock options. After the company has sold the vast majority of its internet assets to Verizon, McInerney will be running just a nub of the former powerhouse. Altaba will essentially be an investment shell to manage a small but profitable stake in Chinese internet giant Alibaba. Following revelations that Yahoo had allowed 1 billion of its users’ email accounts to be compromised, Yahoo was forced to cut its sale price to Verizon by $350 million. Mayer also forfeited her 2016 annual bonus of $2 million and her 2017 annual equity grant of $12 million.